Today was Day #5 of Chocolate and Truffle Theme Week. It was inevitable this week that I make some truffle truffles. Yes, you're reading that correctly. 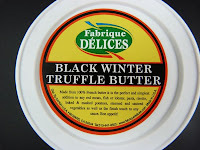 I made some homemade chocolate truffles with Black Winter Truffle Butter from Fabrique Delices (Hayward, CA), that I found at La Fromagerie in (the Dogpatch area of) San Francisco. Thank you to Romain for truffle butter and cheese selection help. I also made a small, semi-sweet, truffle butter chocolate cup (with a white chocolate and truffle butter center) -- topped with a drizzle of black truffle honey and a few grains of truffle sea salt. 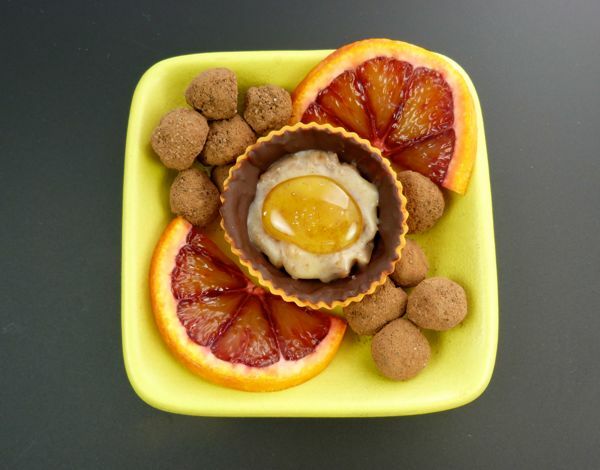 The plate of tiny truffles and the chocolate truffle cup made a great late breakfast, and disappeared quickly. The truffle butter was good enough to eat by itself, or on warm toast (gluten-free bread for me). 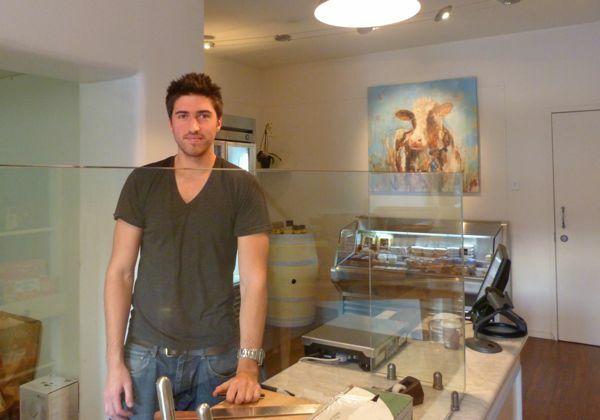 Fabrique Delices offers a line of charcuterie and savory butters -- e.g., black truffle, white truffle, porcini mushroom, and bacon. The truffle butters were made with imported French butter. Sadly, SunSpire (nSpired Natural Foods) in San Leandro, CA, seemed to have gone out of business. I melted a few ounces of their organic, semi-sweet chocolate chips -- that had been stored in my chocolate vault -- to make the truffles. They were quite good. For those who do not like truffles (the fungi/tuber) -- my sympathies, and please forgive my rapturous delight over truffle honey this week. Soon, I'll be moving ahead to Chocolate and Umami Theme Week, where I'll combine cacao with seaweed, miso, kale, mushrooms, potatoes, parmesan cheese, and other fare. I hope you'll find something you like a bit more in this list. This month has evolved into quite a savory + sweet month.